Marijuana grow lights! 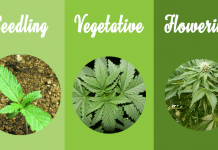 What is the best grow light for indoor weed growing? Home Grow Lights Best marijuana grow lights for growing weed indoors! Marijuana grow lights are the answer for weed growers who cultivate their cannabis plants indoors. They are essential for effectively growing marijuana indoors. Marijuana grow lights are a substitute for the sun. The lights sustain your cannabis plants and their buds. Marijuana plants require a lot of light. 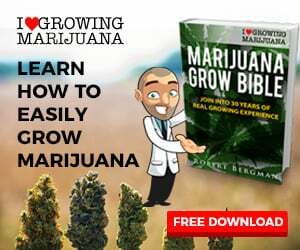 Without light your marijuana plants cannot bud. Many growers believe the more light you give your weed plants, the bigger your yield will be. Artificial light sources can increase costs dramatically. Attempting to replicate the sun indoors is not all that easy. There are many types of marijuana grow lights on the market. The pros and cons of each type of weed growing light are not always obvious. In this article we discuss the advantages and disadvantages of fluorescent, HID and LED cannabis grow lights. LED marijuana grow lights: A large selection of types and sizes of these weed growing lights are available. Fluorescent marijuana grow lights are available in a number of forms. They range from long tubes (T5) to spiral and r bulbs (CFLs). Fluorescent lighting systems are favored generally because they provide comfortable and efficient lighting for humans. Fluorescent marijuana grow lights also function well for weed growing lights cultivation without using loads of electrical power. Both CFLs and T5 fluorescent (tubular) cannabis grow light systems can be effectively used to grow marijuana indoors. CFLs are the spiral, twisted bulbs you can find in any DIY and garden stores . CFL marijuana grow lights produce a good spectrum of light for growing cannabis. 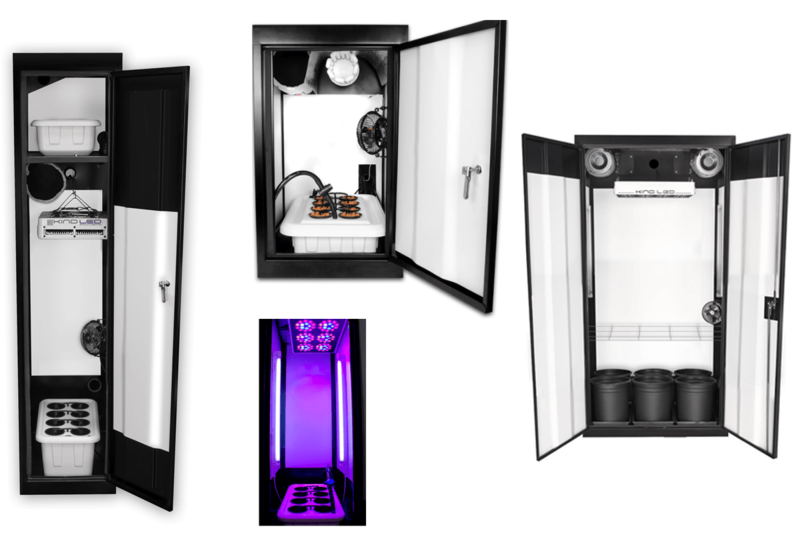 These marijuana grow lights are ideal for small areas, like a cabinet, where no other weed growing lights could fit. For the best yields and growth, keep your CFL grow lights as close to the cannabis plants as possible. During the flowering stages, maintain the CFL cannabis grow lights as near to your buds as practical, but do be careful not to inadvertently burn them! Fluorescent weed growing lights that use high-output (HO) are also available in DIY and garden stores and are known as T5 fluorescents. These tubular bulbs are fairly popular as marijuana grow lights and are used among hobbyists for growing weed indoors on a small scale. T5 fluorescents generally come as part of a panel. These cannabis grow lights can be positioned mere inches away from your marijuana plants without risk of burning the plants. Inexpensive: The main reason for the popularity of fluorescents, especially T5s, is that these grow lights are less costly to set up than other types, because the bulbs, ballasts and reflectors typically come in one package. Cheaper electricity costs: Fluorescent marijuana grow lights use less electricity when compared to other grow light types. Low heat: Fluorescent grow lights generate far less heat than, for example, HID bulbs and do not require a cooling system. 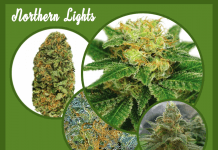 Light spectrum: Fluorescents produce an impressive light spectrum for growing marijuana indoors. 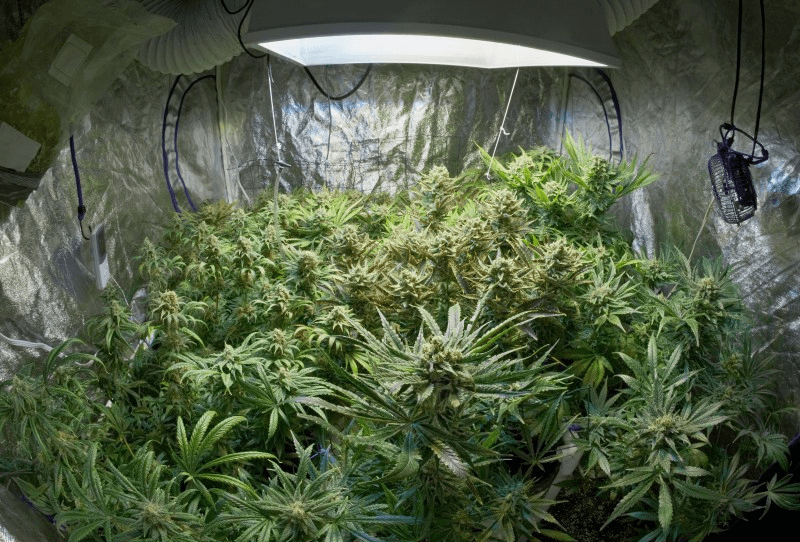 Small areas: Because fluorescent marijuana grow lights can be positioned only inches from the cannabis plants, they are ideal for small areas. Long lasting: Fluorescent grow lights last for 20,000+ hours and maintain good bulb performance throughout. First weeks of the grow cycle: Fluorescent grow lights are a very good choice for clones, seedlings and young plants because they are less likely to burn the plants than other marijuana grow lights. Bigger and stronger grow light types waste a lot of light and electricity during these stages because they have to be kept a good distance away from young plants to prevent burning them. While plants are still young and short, fluorescents can save you a lot of money on electricity. Inefficiency: Fluorescent marijuana grow lights produce approximately 20-30% less light per watt of electricity used. The major downside of these grow lights is that they are inefficient. 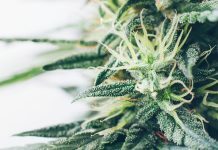 Smaller yields: When used in the flowering stage while buds are developing, fluorescent marijuana grow lights produce smaller sized yields per watt compared to other kinds of grow lights. LEDs and HIDs can produces between 2 and 4 times the yield per watt of electricity. Penetration: Light from fluorescent marijuana grow lights do not penetrate far down into plants and are not powerful enough to nourish plants in the flowering stage. Fluorescents are most suited to plants that are short and flattish. Require space: T5 florescent marijuana grow lights require enough space to accommodate 4ft long HO tubes bulbs. Because they are inefficient, more lamps are required to produce the same output as a single 600 watt HPS light, for example. We recommend you use fluorescents for clones, young plants and for supplemental lighting. 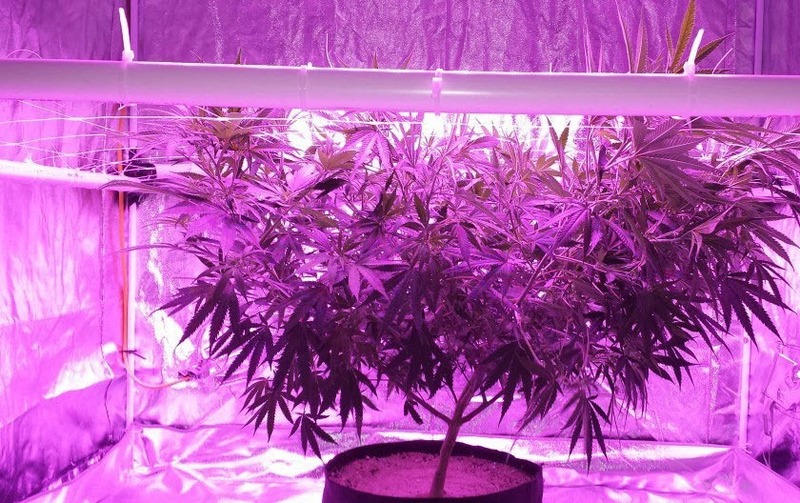 Fluorescent marijuana grow lights can save you money on your electric bill in the vegetative stage. High power lights at this stage are simply a waste of money because the plants are too young to use all the power anyway. During the flowering (budding) stage, it will definitely be to your advantage to use HID or LED marijuana grow lights because they are more efficient and will result in enhanced yields per watt. 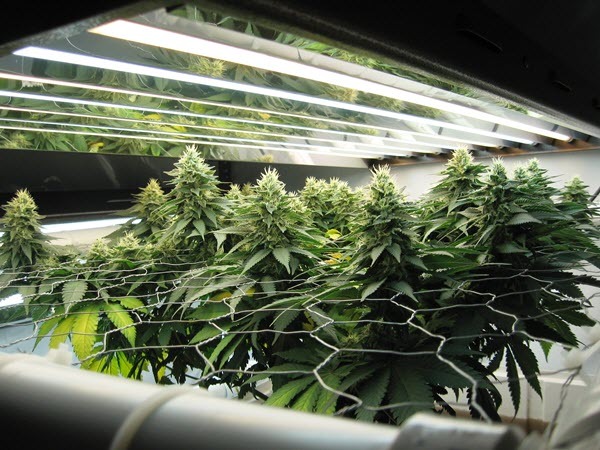 If you are stealth growing, fluorescent marijuana grow lights may be your only option if you are using confined, small areas for your marijuana grow. HID (High Intensity Discharge) marijuana grow lights are popular for their efficiency and output. 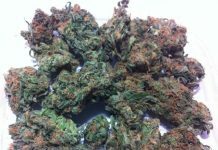 Cannabis growers use them because they are good value for money, but can be a little pricey when you are starting out. The reason they are so widely used is because they produce a lot more light per unit of electricity. HID lights are more expensive to buy than fluorescent lights, but less expensive than LED lights. HID cannabis grow lights are powered by odd looking bulbs that are normally screwed into a reflector or hood. The hood is used to reflect more light down onto the plants. HID marijuana grow lights generally fall into three categories: Metal Halide (MH) grow lights, High Pressure Sodium (HPS) grow lights and Ceramic Metal Halide (CMH) grow lights. Metal Halide marijuana grow lights produce light that is blue-white in color. 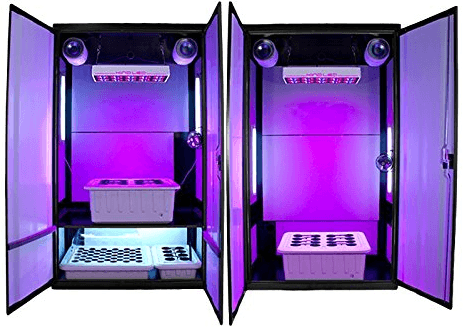 MH grow lights are typically used during vegetative growth. MH lamps emit an excellent light spectrum for the vegetative stage of the cannabis plant. High Pressure Sodium marijuana grow lights produce light that is yellow (red-orange) in color. HPS cannabis grow lights are typically used during the flowering stage of the cannabis plant. The yellow light spectrum emitted by HPS grow lights stimulates bud production. HPS weed growing lights are popular for the flowering stage because they produce considerably better yields per watt of electricity when compared to other types of grow light on the market today. For even better results you can experiment with a combination of LEDs with HPS grow lights. Ceramic Metal Halide (CMH) marijuana grow lights are a type of MH grow light. CMH grow lights are said to be 10-20% more efficient than the traditional quartz MH lights and to produce a superior color rendition. In short, CMH lights give off a more natural color, produce more light per watt and last longer. The term Light Emitting Ceramic (LEC) grow lights is sometimes improperly used to describe CMH grow lights. That term is actually the registered trademark of a specific brand of CMH lights. 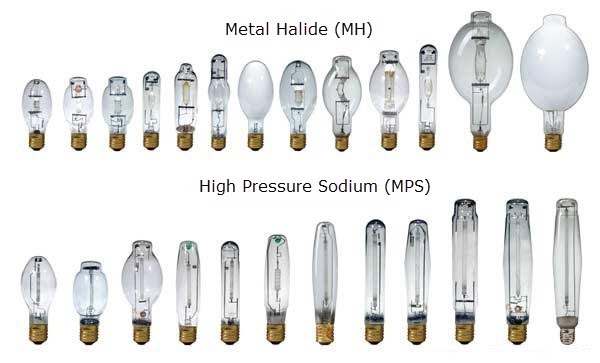 CMH bulbs are typically more efficient than MH lamps, but not yet as efficient as HPS bulbs. The main downside is that they are considerable more expensive than other types of HID grow lights. 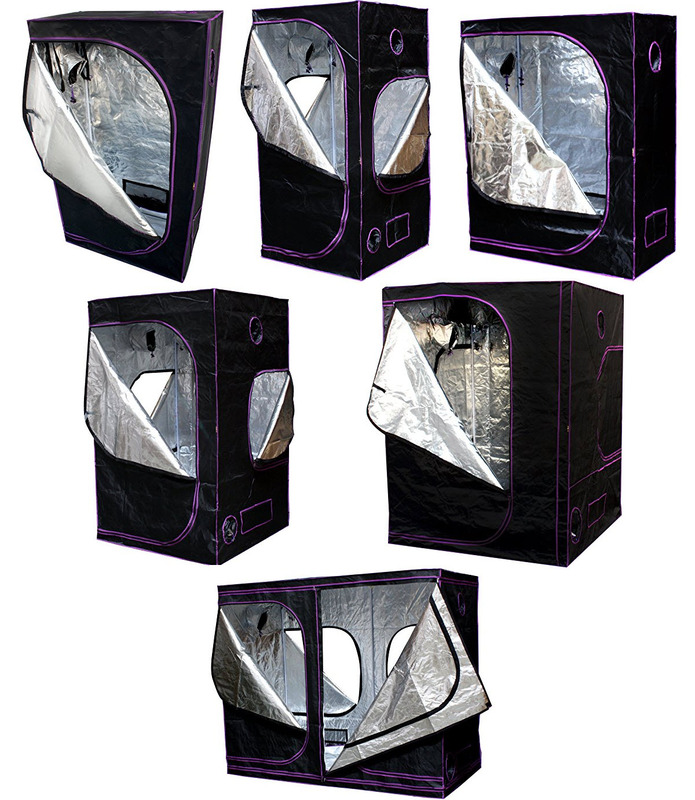 Unless your cannabis grow space is large and open, with plenty of ventilation, you’ll need air-cooled reflector hoods to mount your lamps. This is because HID lamps produce a lot of heat. Ducting and exhaust fans are also necessary to ventilate the grow area. This may add to your initial cost, but it will allow you to control the temperature in your growing room far more easily. HID lighting systems need a ballast for each light. Newer ballast designs accommodate both MH and MPS lamps, but older systems are type-specific. There are two main types of ballasts available for marijuana grow lights: magnetic ballasts and digital ballasts. Magnetic ballasts are cheaper than digital ballasts, but they run hotter, are not as efficient, and are harsher on the lamps. Go for digital ballasts if possible. They are a superior and better option, but of course are more expensive. Efficiency: HIDs are the most efficient kind of grow light. They achieve the highest yields per watt of electricity used. HPS for flowering stage: HPS cannabis grow lights are the most efficient kind of grow light for the flowing stage of your marijuana plants. If all goes well you can expect yields of between 0.5-1 gram per watt of electricity used. Easy of use: HID marijuana grow lights are easy to work with. They can be hung at the ideal distance from the marijuana plants and left there. There is no guesswork involved, like with LED marijuana grow lights, and no need to change the distance, like with fluorescent grow lights. Heat production: HID bulbs become tremendously hot and produce a great deal of heat. For this reason they typically need to be placed in a hood. In addition, you need some king of cooling system to prevent heat beaming down on the marijuana plants and driving up the ambient temperature in the grow area. This is particularly problematic with more powerful lights of 250W or more. 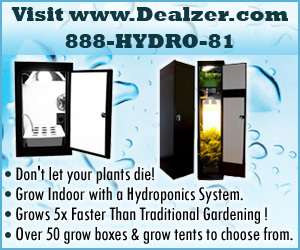 Exhaust system required: HID marijuana grow lights generally need a ventilation system. Because of the immense heat production, growers generally install an exhaust fan with ducting to vent out the heat. More complex: HID marijuana grow lights have more parts than other types. HIDs generally consist of a lamp, fixture and external ballast. Comparatively, fluorescent lights are simply lamps and a fixture and most LEDs simply consist of the light itself. HIDs are extremely well suited to growing marijuana and are highly recommended if your main goal is to get the highest yields possible. HIDs do require extra setup compared to the other grow lights, because you will likely need a exhaust system to vent out heat from your grow space. But, once your HIDs are set up they are very easy to use and maintain. If you are on a tight budget, you may want to start out with HPS lamps because they produce more light per watt and are therefore more cost efficient compared to other types. While HID lights are not as cost efficient as LED lighting, their price tag is about 90% less. LED (Light Emitting Diode) marijuana grow lights are extremely popular among growers as an alternative to HPS weed growing lights. 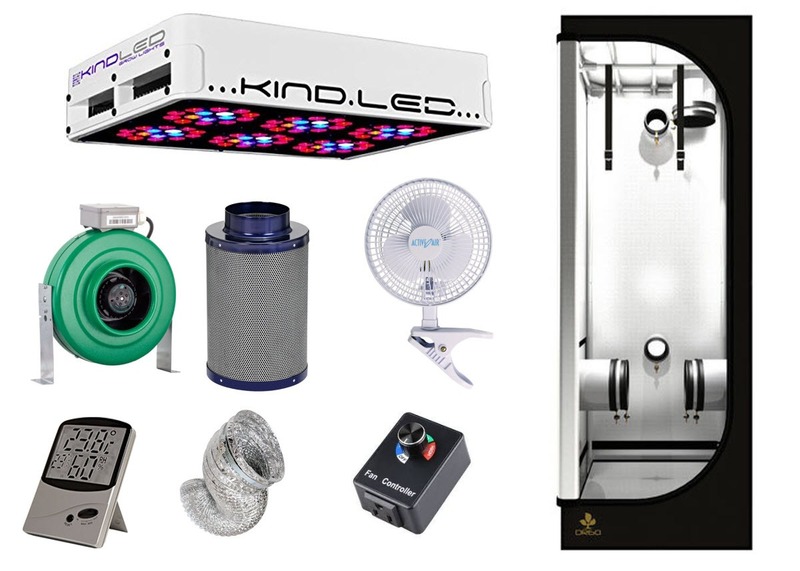 LED marijuana grow lights typically come with built in cooling and tend to run cooler than HPS lights in any event. They are by far the simplest grow lights to use. With LED marijuana grow lights you simply plug your LED light into the wall, hang it over your weed plants and start growing. This set up is so much easier compared to a HID marijuana grow light setup. LEDs have superb light penetration and do not have to be relocated regularly like fluorescent grow lights. A word of caution! There are a lot of inferior LED products on the market that are being passed off as good. Do your homework thoroughly before investing in LEDs. Run cooler: LED grow lights typically have built in cooling that forces heat up and away from the plants. You will not generally need an independent cooling system like with HID weed growing lights. Because LEDs operate relatively cool, your plants may grow adequately without a ventilation system. Efficient: LED grow lights offer substantial energy savings compared to HID and fluorescent grow light systems. Light penetration: The best LEDs also produce a fuller spectrum of light, which experts believe produces bigger yields of better quality. This means they do not have to be relocated regularly like fluorescent grow lights. Easy of use: Smaller LEDs can simply be plugged directly into the wall and hung up over your cannabis plants. No further light setup is required and you can simply start growing. Longer lasting: LED marijuana grow lights last a lot longer than both HID and fluorescent grow lights. LEDs are heavy-duty grow lamps: they have no electrode or filament, and are shock and vibration resistant. Versatile: LED grow lights are far more versatile than HPS and fluorescent grow lights because they are not as bulky. LED marijuana grow lights can be positioned around your cannabis plants and relatively close to them because of the reduced heat produced. Resinous bud: Some experts believe LED marijuana grow lights produce more resinous buds than other grow light types. Cost: The major disadvantage of LED marijuana grow lights is their price. LEDs are can be very pricey and a complete system could set you back about 10 times that of a comparative HID grow light setup. Marginally smaller yields: LEDs typically achieve marginally smaller yields per watt than HPS grow lights. To get the best yields from your LEDs requires requires a experimentation, because there are no standards as yet. Each lamp is slightly different and you have to go through a bit of a learning curve. 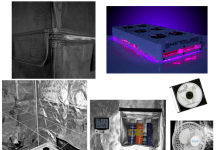 Ventilation may be required: While most LED marijuana grow light systems do not require a ventilation system to keep the grow space cool, very high-wattage LED lamps do. Even though LED lamps run a lot cooler than comparable wattage HPS lamps, they nonetheless do generate heat. The more powerful lamps, for example 300W+, could possibly need a ventilation system like an exhaust fan to keep the grow space from becoming too hot. Require more space: LED grow lights require a good deal of space between the lamp and the marijuana plants. This means you need a larger grow space, especially height-wise, to achieve ideal results. For example, you need to keep small LED panels 18 inches away during the second half of the flowering stage to avoid bud burn, and some of the bigger panels 30 inches away. 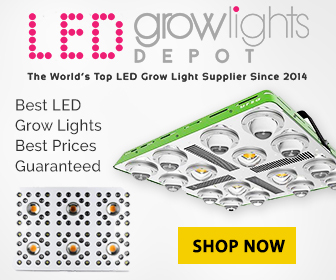 LED grow lights make super-efficient grow lights for growing marijuana indoors. If you compare the positive aspects listed above to other light types, LED marijuana grow lights are definitely they way to go, if you can afford them. If you cannot afford them now, they are the marijuana grow lights to aspire to. 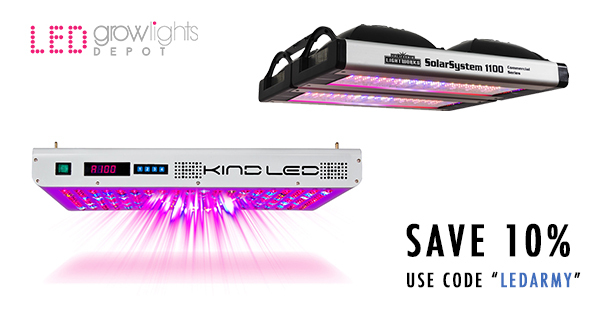 If you currently have an HPS grow light setup, isn’t it time to think about switching to LED marijuana grow lights. Next articleBest T5 grow lights for marijuana 2018!